Can you imagine those crazy Halloween celebrations are all done? We hope you all had a gala time in the Halloween parties. However, the hangover of the celebrations is definitely going to linger on for a really long time. Halloween was just a starter in your three course festive feast. Now let's gear-up for the second course. Do you why there turkey is the main attraction of Thanksgiving feast? Well, it's kind of a mystery. Different historians and culture experts have different theories on this, but what seems more plausible is that the colonists after their bountiful harvest dined with the natives and turkey being the purely American bird was served to the large gathering. 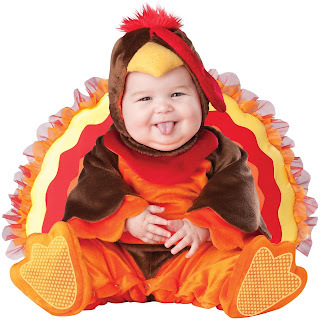 Since then turkey has remained associated with the Thanksgiving feast. Now, let's turn to Thanksgiving party with PartyBell! 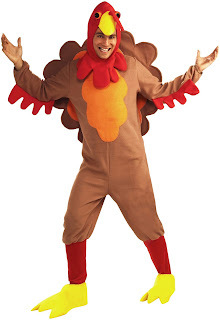 PartyBell is bringing you a wide range of costumes and accessories to brighten up your Thanksgiving. Let's timetravel and go back to the medieval times with this costume. 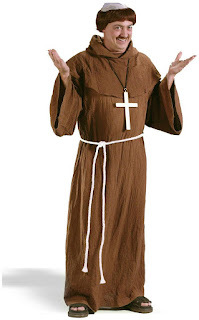 The costume includes polyester under robe, hood with caplet, a rope belt and a wig. Grab It here. The costume includes white cotton bonnet with an under-the-chin ribbon tie, a long, black cotton dress with a clinched waist and an attached apron. You can order one for yourself here. The Costume is includes the earthy dress, boot tops, belt, armband, choker and the headpiece. 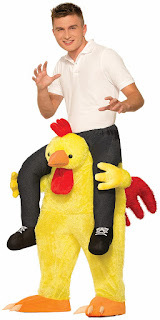 You can buy this costume here. The earthy colored in lovely brown Sacajawea Indian costume has a fringed dress, belt or flap and a headband. Just add the suede boots or tan dakota boots and you are one rocking Native Indian girl. 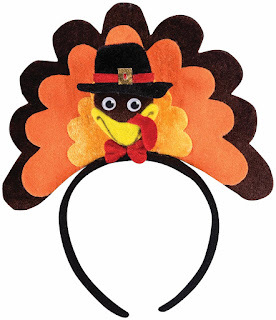 Turn your little girl into Indian Princess this Thanksgiving. The costume includes dress, headband and boot covers. Click here to see the details and buy. This lovely fringed off-shoulder costume has a dress, boot covers, belt and a headpiece. You can buy it for your little girl here. 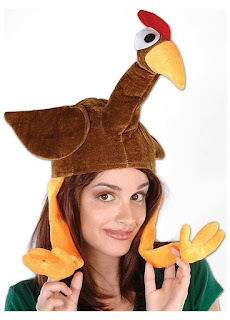 Now, let's turn to TURKEY COSTUME & ACCESSORIES! It's so difficult to pick and choose one my favorite. See it for yourself. Click on the image to see the details of the costume. Dive in PartyBell store, lay your hands on your favorite before its out of stock.